🚙🐻No delivery job is too far for Bean and his trusty sidekick, Teddy! 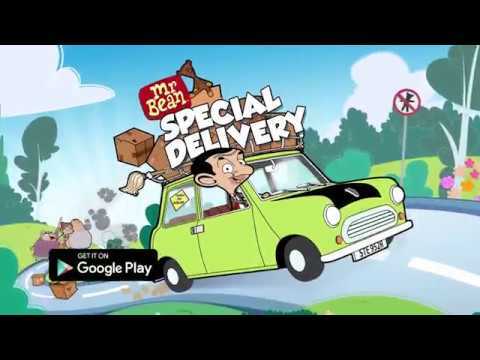 So buckle up and start your engines, in this awesome official Mr Bean game.🐻🚙Mr Bean Driving Games🛑Play the OFFICIAL Mr Bean driving game for FREE now and deliver to all his friends & foes.🛑Test your driving skills – get to the finish line as fast as possible WITHOUT dropping any of the precious packages.Customize Mr Bean’s famous green Mini🚗 Upgrade his old Green Car with Paints, Wheels, Toppers & Trails. Collect them ALL for special bonuses!⬆️ Level up your Experience to unlock more upgrades. 🚀 Craft power-ups in Mr Bean’s Boost-a-matic to give you an edge on each run.Deliver to 4 exciting original AREAS!🏙️ Drive through the steep streets of the CITY. 🌳 Climb the high hills of the COUNTRYSIDE.🏔️ Ride the rollercoaster in the MOUNTAINS.🏜️ Melt your tyres in the DESERTFollow us for the latest newsFollow us: http://fb.me/mrbeangames⭐⭐⭐⭐⭐ If you like this app, please give us 5* ✋Free to download and play, but contains 3rd party advertising and some in app items can also be purchased for real money.